This premium pendant set provided by Dan Jewelers makes a great gift for a variety of occasions including birthdays, holidays and anniversaries. 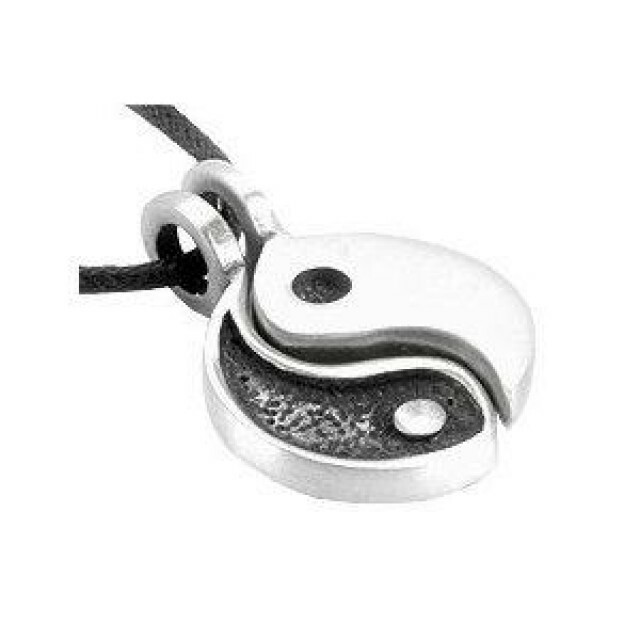 Suitable for a guy or girl, boyfriend or girlfriend, this pendant can be worn as a single piece or as two separate connecting pieces to be shared with a friend or loved one. This friendship pendant necklace is sold with a single black jewelry rope and can be worn straight out of the packaging. Otherwise, feel free to gift this piece with a unique chain or choker for a one-of-a-kind present that won't be soon forgotten. The provided pendant is made of high-quality pewter and highly detailed. One side of the symbol is finished in a glossy silver and other side in a textured black. 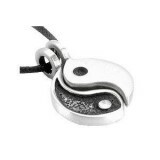 As an inexpensive present or a starter piece to any friendship jewelry collection, this Yin Yang pendant is a home run!